The Summer holidays, and the end of another academic year, have finally arrived! 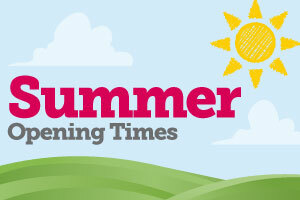 SUSU will remain open during the Summer period although we will be operating reduced hours until the Autumn term. A full list of opening times is below. Have a great Summer, and see you all in September! We’ve been hearing some fantastic comments from you about how much you enjoyed the Graduation Ball, and how it was a brilliant finale to your time at Southampton. However, we know that some of you were specifically looking forward to seeing Example, and that the change in line up may have left you feeling disappointed. To remedy this we are offering a partial reimbursement of £10 to all ticket holders, which is as a result of the reduced costs that we faced due to the last minute change in line up. Congratulations to the University of Southampton’s Class of 2013! 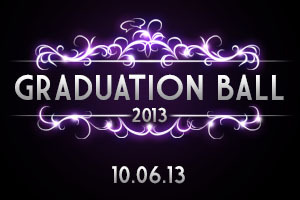 Last night DJ Fresh, Amelia Lily, and Scott Mills rocked the 2013 Graduation Ball with performances from Pendulum and Stavros Flatley. Scott Mills had a great time and we hope you did too! Free Screening at Union Films! 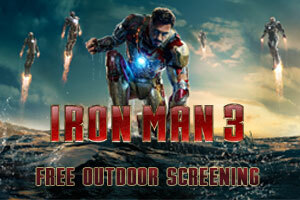 Hot on the heels of their incredible 3D films week, Union Films’ outdoor screen returns this weekend with a chance to see Robert Downey Jr take on the formidable Mandarin terrorist group in Iron Man 3 for free! Once the sun has set, they’ll be showing the film, from 8:30, using their new digital projector and surround sound set up on the grass outside SUSU. Surge Radio will be there throughout the afternoon playing music while Union Films will be selling drinks and refreshments from their bar. There will even be a BBQ set up! From this afternoon, Connaught and Glen Eyre halls are going to be bouncing as they hold their biggest end-of-year event yet. Not only will Trevor Nelson and Cassetteboy be headlining the festival but there will also be inflatables and live-music all day. 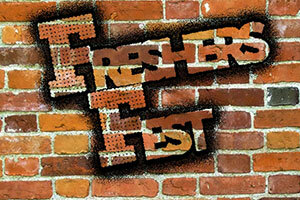 Freshers Fest starts in Connaught’s quads at 3PM today with face-painting, bouncy castles, bungee runs and much more. There will also be a selection of local and student bands playing the main stage; fingers crossed it’ll be the perfect chance to grab some mates and celebrate the end of exams in the sun!